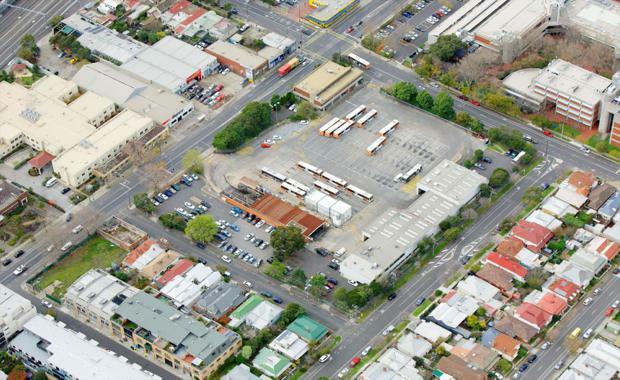 A transport consortium has listed for sale a landmark island site in Melbourne’s booming inner west with a scheme in place for a $200 million-plus mixed use development. Colliers International’s Trent Hobart, Bryson Cameron and Tom Noonan have been exclusively appointed to sell a 14,410sqm island site at 43-57 Buckley Street in Seddon. The site, marketed as The Proximity Site, has for years been the home of the Transdev bus depot. “The Proximity Site represents an undeniable mixed use development opportunity which is considered by many to be located in the heart of one of the fastest growing and re-gentrifiying locations in Melbourne,” Mr Hobart said. “Located opposite Victoria University, within walking distance of two train stations and only 5km from the CBD, this site has the key ingredients for a successful development. The Proximity Site is being sold with a preliminary development scheme for a 4,430sqm full line supermarket as part of a development scheme prepared by leading architects Rothe Lowman which also includes 399 dwellings and 557 car spaces. Mr Noonan said there was an offer from Woolworths to enter into an agreement for lease for a 20-year initial lease term over the ground floor retail component. The site is situated in an area recently rezoned from a Public Use Zone – Tranport to a Central Activity Zone. The property is currently being leased by Transdev Melbourne and will be offered as a going concern with a freehold title. The current net income is $1,152,000, expiring on July 31, 2016. The property is being sold by Expressions of Interest closing Friday July 24 at 2pm.